Colorado’s universal health care proposal Is also a seismic expansion of democracy. This November, in addition to the opportunity to pass judgment on the presidential mayhem, voters in Colorado will have before them a proposal poised to enact universal medical coverage across the state. The initiative, ColoradoCare, may be the most ambitious candidate on the ballot. When I reported on the proposal’s origins late last year, Koch Brothers-aligned opponents were already starting to fight it. Since then, three-quarters of a million dollars in corporate donations, mostly from insurance companies, have poured in to oppose it. The donors in support of ColoradoCare are mainly individual Coloradans. Far and away, the greatest significance of ColoradoCare is the most obvious: If passed, it will mean that, for the first time, residents of a U.S. state will have guaranteed medical coverage. But another feature of the proposal has been talked about far less: ColoradoCare grants voting rights over the program to its recipients—including non-citizens and even the state’s approximately 180,000 undocumented residents. The program would thus represent a stunning act of enfranchisement, a state-sized experiment in democracy. A win for ColoradoCare would help reverse the xenophobic zeitgeist that has taken hold of the Republican electorate this year. (At least one study, anyway, suggests that the program would not significantly increase migration to the state.) It would be an affront, also, to the latest wave of voter-suppression tactics targeting marginalized groups across the country. The proposal now called ColoradoCare used to be known as the Colorado Health Care Cooperative—promoted, among others, by a group called Co-operate Colorado. State Senator Irene Aguilar, a physician who began designing the proposal even before taking elected office, chose a cooperative-like model out of necessity; Colorado law prevents legislators from levying taxes without a cumbersome approval process, a crippling burden for a medical program. Aguilar concluded that the only way to provide coverage for everyone in the state was to keep it separate from the legislature, with a direct conduit to the people. Like a credit union, a co-op grocery store, or the co-op utilities that deliver electricity to 70 percent of Colorado’s territory, the governing board would be accountable to those who use and pay for it. By and by, the name changed. “ColoradoCare” seemed more user-friendly; people in the co-op movement also objected because the program’s tax is obligatory, violating the first cooperative principle of voluntary association. Still, ColoradoCare would be a massive, democratic health insurer, a quasi-governmental, quasi-cooperative enfranchisement machine. ColoradoCare’s projected annual budget is $25 billion, levied through income taxes—which would make it about the same size of the rest of the state government. It would thus amount to a kind of spin-off government, a parallel universe in which undocumented residents have the right to vote. 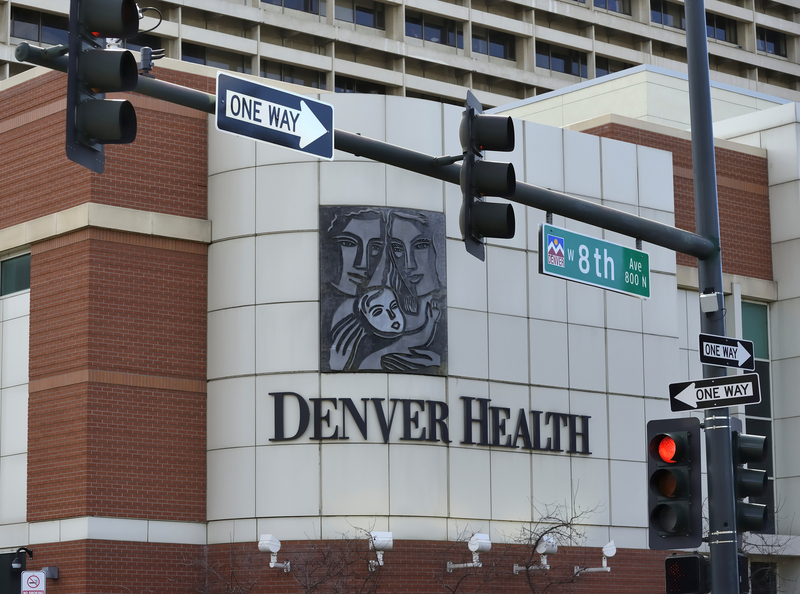 The details of how the ColoradoCare board of trustees would be chosen are not entirely clear. Trustees would represent regional districts and be elected through a non-partisan process, separate from existing official elections, through mailed or online ballots. The program would be, more or less, what has come to be called a “platform cooperative”—a chunk of economic infrastructure controlled by the people who depend on it. This represents a third way between the haphazard system of private insurance and the kind of top-down, Washington-run model that single-payer advocates usually have in mind. It could lead the way for other experiments in cooperative governance, too, from individual workplaces and schools to other large public programs. Big money is against ColoradoCare, and so too, perhaps, are the odds of passing. But it is a proposal with potential significance that extends far beyond Colorado—not only as a chance for the United States to start joining the rest of the industrialized world in providing universal medical coverage, but as a step toward fuller, more inclusive democracy. This is wonderful! It is time to take the profit out of providing health care. Opponents of ColoradoCare love to dwell on the minutiae of the big tax number of $25 billion, but conveniently forget that it REPLACES the $32 billion currently being spent by Coloradans for Premiums, Deductibles, most Copays and after-procedure extra billing (eg. anesthesiologist). That's a $7 billion in savings!!! But what we are really missing here is the fact that every God given life, of every Coloradans is now protectected! Medical Bankruptcy, the #1 cause for BK in America instantly disappears! $20+billion bonuses to Health Ins CEOs will also disappear. These bonuses are paid for by procedural and medication denials. We need to put God given lives ahead of the Golden Calf of profit. And it will start right here in Colorado!! !